Mediation is an informal conference where individuals and attorneys attempt to settle cases or resolve disputes with the assistance of a mediator. Joint sessions are conducted with all participants present. Separate sessions are held with each side and their attorneys. Your mediator is a trained facilitator who assists both parties in identifying and working through the issues in dispute in order to come to a resolution. Mediation is a confidential process that encourages open communication and the exploration of issues and possible solutions. Mediation is the most common form of Alternative Dispute Resolution (ADR). It is non-binding, which means that the parties will either agree on a resolution of some or all of the issues in dispute, or they may not agree at all. 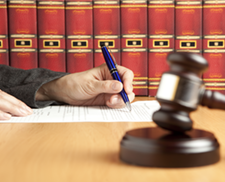 Mediation may be required by court rules or a court order. Both parties are obligated to attend and participate in the mediation, but the decision to resolve a case rests solely with them. All agreements must be voluntary, and no one can be forced to agree to anything they are not comfortable with. Mediation takes several hours. Greenville Mediation has three comfortable conference rooms designed to allow parties to do their best work reaching an agreement. 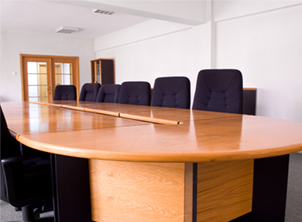 Our largest conference room accommodates 20 or more participants. Additional rooms are available if necessary. While our team is delighted to host your mediation, we recognize that there are occasions where another location is preferred. Our services are available to all areas of the upstate, and our mediators gladly make arrangements to travel to any location. Contact us in Greenville, South Carolina, to discover how our dispute resolution services can help you come to an agreement.